Franck van Breugel. 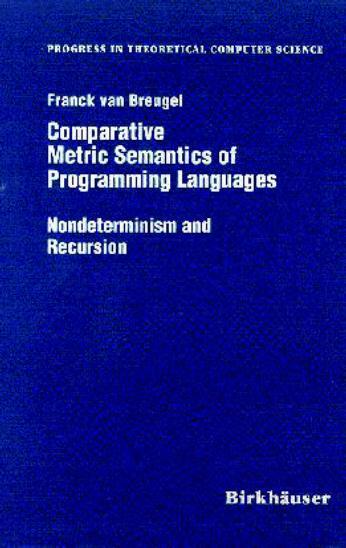 Comparative Metric Semantics of Programming Languages: Nondeterminism and Recursion. Progress in Theoretical Computer Science, Birkhäuser Boston, Cambridge. 1997. A review of this book appeared in Studies in Informatics and Control, 7(4), December 1998.